Love military action, an exciting conclusion and a protagonist and antagonist you can't help but love? GET IN! Book Two, Sins of the Father, coming soon! Keep reading below to see a blurb about his stand alone, The Beyond Experience and my review. A fantastic military thriller debut novel! The author brings you into the action from page one and rarely lets up. The book bounces back between Logan's point of view and Sameet, Amir's. Logan is a likable character who, in dealing with a hard loss early in his career, ultimately "retires". He gets pulled back in when his ex, Samantha, calls him re a terrorist attack in Paris. Utilizing all his assets, he's determined to prevent further attacks all the while dealing with his own demons. Sameet, a military hero turned traitor, has to make swift decisions regarding his life after a chance incident where he watched his father die. He's in certain conflict with himself and is in survival mode at all times. Both emotionally guided, each day brings a new, life altering decision. What happens when it all comes to a head and they have to face off? Growing up in a military family and having been to boot camp, I understood a lot of the jargon and mind set of the personnel which I found helpful. The author puts you right into Sameet and Logan's minds - when they go through their life altering moments at the beginning, I felt for both of them - more so than I was expecting so quickly. Throughout the book, I actually found myself feeling more for Sameet/Amir than I did for Logan. (I guess we all have our favorites right?) The only thing I wish I had more of was a little more fleshed out back story for both characters and more of Logan and Samantha's relationship. As this is the first in the series, I'm sure us readers will be learning more as the series progress. I'm looking forward to see where Mr. Reid takes us on Logan, Samantha and Amir's journeys. 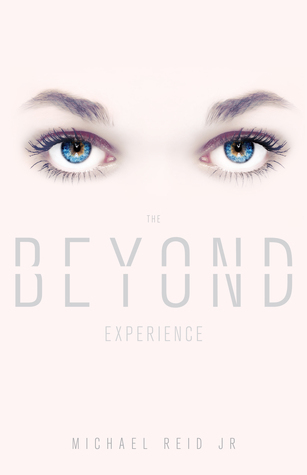 If you get a chance, check out his stand alone novel, The Beyond Experience! 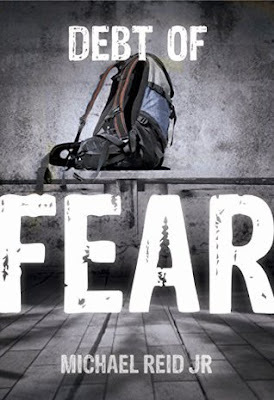 Dr. Lewis had always found a way to hide his deepest secrets: the abuse as a child, the loss of his fiancé, the reasons why he rejected the lucrative offer from Harvard. But, when Kyle, his lab assistant, convinces him to push the limits of the drugs he'd spent a decade perfecting, his lies begin to unravel. Kyle's emotional events during treatment forced him to believe it was an event on another plane of life, a spiritual experience at its highest echelon. Thousands of people all over the world were experiencing similar events to Kyle's, claiming they'd been to heaven. However, Dr. Lewis disagreed, and spent countless hours searching for a neural pathway within the brain itself as the source of the augmented reality. More secrets, lies, and love drive the two close friends apart, beginning a cascade of events that point Dr. Lewis toward entering The Beyond Experience himself. He fought the treatment for nearly two decades, convinced his terrifying past would confront him. What he experiences becomes far more world shattering than he'd ever imagined possible, but will finally give him the answer to why his fiancé, Lily, had spoken her haunting final words: "forgive me." Dr. Lewis and Kyle team up to perform testing on a new cocktail of drug that is to help those with anxiety and/or depression. Kyle takes on the treatment and convinces Dr. Lewis to push the limits of the drug. Dr. Lewis's past makes him hesitant to do so but his scientific mind eventually pushes him toward this experimentation, which leads to thousands of patients (including Kyle) thinking they are "going to Heaven" or reaching a higher spiritual plane or consciousness. As a scientist, the good doctor has a hard time believing there's not a more rational explanation and continues to search for the neuro pathways that would explain this phenomenon. However, as they push further and further, his past catches up with him and the secrets and lies associated tear at their friendship. The consequences that unravel will affect everyone's lives and their views of The Beyond Experience. Let me commend the author for the obvious amounts of research that he did! History shows various types of (now recreational and illegal) drugs that were first intended for the sole purpose of helping to "cure" depression and/or anxiety. While most scientists attribute hallucinogenic affects to the spiritually enlightened, there's still much about the brain and our bodies that are still to be discovered. I've done quite a bit of research from my degree in Social Work and with my continued fascination with the scientific studies of the brain, mental health, and the various drugs/treatment associated with helping those afflicted keep them under control. Are you conditioned as a spiritualist or a scientist and is there anything that could happen to change and/or open your mind? But before I go completely off topic, let's get back to the book. This book hit home in a variety of ways. For those who are not so spiritually or religiously inclined (like me), don't let the mention of heaven, or spiritual plane, or anything similar, deter you from this book. This is a book about friendship, partnership, love, science and how far people will go to find what they need for any type of closure, including the harsh reality of what that closure could cost. This is a book about journey, forgiveness, learning and growing, while still being human and making mistakes.